After Erich’s mom died and we were no longer engaged, I moved out. By then, I was working at Disney World. I could not get a job as a teacher. I loved working at Disney. It was fun and had so many benefits. I ended up living with someone who worked at Disney who had three other people living there. There were advantages and disadvantages of this place. I did like my job. Eventually, I found a job as a teacher and moved closer to where I worked. This was the first time I had a place of my own! It was an apartment. I was also using my degree and did what I thought I would love. Don’t get me wrong, I did love teaching in a lot of ways. However the stress was really hard on me. The beginning of the years were the hardest so my mom would try to come down to help me. While living at my apartment and working, I had a hard time with depression. A lot of it had to do with me trying to get over Erich. I still would see him, however, he moved about 3 hours away so eventually I saw him less. This was when I could access the internet and AOL started having the capability of having a way to talk to my mom often. I also met a friend in a bipolar disorder chat room who I still am friends with today. Between my mom and her, I was able to keep it together to work teaching. I was depressed, but also very stressed at times. I somehow got through the year without a manic episode. My first class was made up of children who were hand selected by a teacher who wanted to work with challenging kids and then moved into another grade level. So, I had a challenge on my hands. I rose to the occasion. Before the school year started, I felt like I needed to tell someone I had bipolar disorder so I told the guidance counselor. I wanted someone to know in case I started to act strangely. She wanted me to tell the principal but I did not. She might have, but I don’t know. He did find out,but it is not while I worked for him. He actually became a second father to me down there. I will mention him again later. Even though I was working a stressful job, I did like it. I worked a lot of hours.I was an eager teacher who wanted to changed these children’s lives, That first class will always be special to me. That year I taught 4th grade. I was encouraged to take ESOL classes over that summer so that I could teach kids who didn’t know English. The principal said that they might have to lay off new teachers the next year but that if I had that certification, it would really help me keep my job. It paid off and I was transferred to 2nd grade. I did not really like teaching 2nd grade, but I got through the year without any serious problems. I ended up changing schools after that year. I am not sure why, but I do know that the principal was moved to another school.. I taught 4th grade at that school for 2 years. I was grade level chair for the first year. 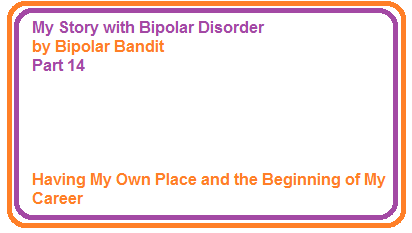 I told my principal that I had bipolar disorder. I am not sure he really understood or wanted to understand. My next blog will talk about two things that came out of that school. 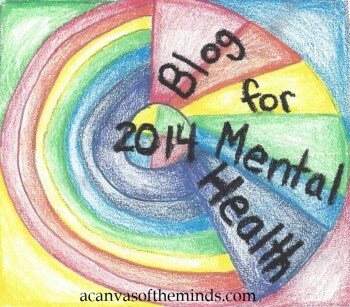 This entry was posted in Uncategorized and tagged aol, bipolar, depression, internet, manic. Bookmark the permalink.